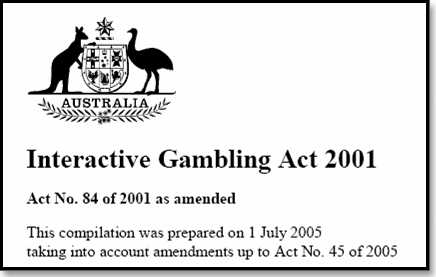 Will Australia’s Interactive Gambling Act ever be updated? 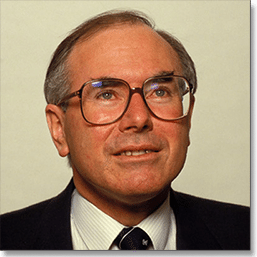 In 2001, the then John Howard led government passed a law called the Interactive Gambling Act (IGA), making it an offence for all local and foreign companies to offer and advertise real money ‘interactive’ gambling services over the Internet, to Australian residents – a law which remains in place to this day. While the IGA prohibited the marketing and offering of activities such as online poker and online casino games to Australian citizens, the distribution of online sports betting products and online lottery tickets remained completely legal, and the interpretation of the term ‘interactive’ was entirely left in the hands of those in charge of the Act. Civil liberties and individual rights play an important role in Australian society, and certain restrictions placed upon entertainment and gaming companies and industries have been met with disappointment and displeasure. One of the chief points of contention is the blatant contradictions within the Act, as described above. Not only are Internet lottery games and Internet sports betting practices allowed to be advertised and offered within a regulated environment, land-based casinos and gaming venues are now offering electronic variants of some of the most popular games like blackjack, roulette and baccarat. Additionally, land-based pokies machines are now utilising the same software online gaming designers use to power their online-based slots titles – the only difference being the location of the actual machine. Online sports betting companies are also working hand in hand with land-based casinos to promote their services and products. The IGA only seems to be discriminating against popular casino titles, multi-player poker and ‘live’ (also known as ‘in-play’ sports betting), available on the Web and other data-enabled devices. But companies quickly cottoned on to the IGA principles, and have accessed legal loopholes to provide regulated and fair ‘interactive’ gambling services to an Australian community which enjoys the freedom of and entertainment value it derives from having a punt over the Internet. The ‘in-play’ sports wagering option, which was originally only available to use over the telephone, has now been incorporated into online bookmaker websites, whereby the punter can place a call via the Internet, be connected with an automated answering service, and confirm a real cash wager while the event he or she is betting on is live. Furthermore, gaming operators based outside Australian borders, and established in jurisdictions which are more flexible with their online gambling rules and regulations (but at the same time, remain vigilant in processing safe and fair activities), have and continue to market their services and products to Australian citizens (aged 18 years and above). To date, never has there been a serious attempt by the Australian government to thwart such businesses from offering their services to Aussie residents, and so these gaming operators continue to do so, keeping their consumers happy. The main area where the IGA has been successful is keeping local Australian businesses from advertising or marketing ‘interactive’ gambling services to their own citizens – a policy which is detrimental in more ways than one. Moreover, the IGA does not make it illegal for Australian residents to access and utilise the gambling products available at real money online casino and poker sites, so Aussies can safely enjoy a punt without fear of being prosecuted. 1: Aussies looking for a bit of online fun are required to seek foreign companies and sites to enjoy real cash titles like blackjack, the pokies, baccarat, instant scratchies, video poker and roulette. While there are ample trusted and reputable offshore sites, all licensed and adhering to strict Internet gaming rules, no doubt people would feel more comfortable and inclined to play with local companies. 2: The Australian government is missing out on a considerable amount of taxable income by restricting gaming operators from offering the discussed casino games. Like our brick and mortar casinos, sports bookmakers and nationally syndicated lotteries are liable to pay sizeable sums of tax, so too would local online casino, poker and other ‘interactive’ gaming organisations. Since 2001, the IGA has been reviewed several times, with the most dramatic changes taking place as part of the Interactive Gambling Amendment Bill 2016, which was officially passed in parliament in September 2017. The Amendment Bill aimed to close the loopholes and grey areas once and for all, putting wording in place to prohibit all online casino operators from servicing the Australian market, regardless of whether they were located in Australia or overseas. These changes resulted in many of the leading casino sites leaving the Aussie market, however several reputable sites with legal licensing in foreign jurisdictions like Curacao and Alderney continue to accept Australian players. The changes to the IGA don’t seem to be deterring Aussies from playing online, especially considering there is nothing in the updated legislation that punishing players who continue to frequent offshore gaming sites, with the focus being on the operators themselves. It is our hopes and all forms of real money online gambling will become available within a properly regulated and safe environment, while at the same time developing necessary and more effective approaches to deal with problem gambling. And as Internet and gaming technology continues to rapidly advance, with new technologies arriving such as Oculus Rift and other virtual reality gaming devices, you can rest assured Australia will not want to be left behind as the nation for the most immersive, entertaining and engaging ways to bet and game heat up. It is important to note when discussing gaming operators, bookmakers and other companies which provide a type of gambling service over the Internet, we are referring to regulated and registered companies which hold appropriate licenses within their jurisdictions and are audited on a regular basis by independent testing agencies. There does remain a hoard of unregulated and rogue gambling sites across the Internet, but we will never recommend such platforms, and only discuss such websites when talking about topics specifically related to fraudulent businesses which you should steer clear of. Keen to learn more about how to play real cash casino games online, in Australian currency, legally and safely? Head to our Australian Online Casinos page to find out.